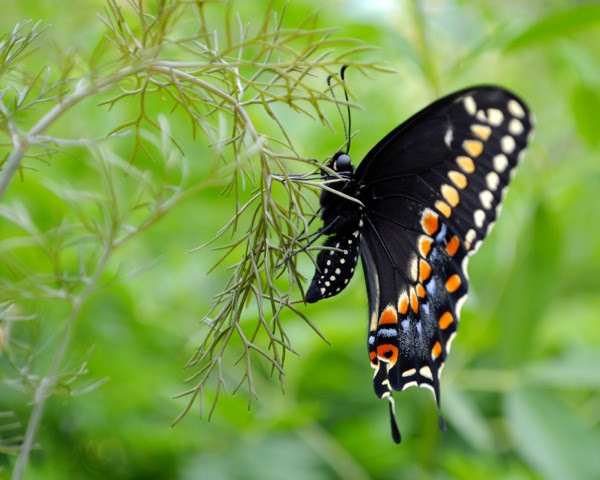 This Friday afternoon from 5:00 – 6:00 pm, I have been asked to give a presentation at the North Haven Fair on Planting for Pollinators and Butterflies. I am so psyched! I will be at one of the classrooms put together by the Boy Scout Venturing Crew. I will be bringing lots of plants, information, and of course monarch butterflies in all life stages. Next Tuesday evening, September 13th from 7:00 – 8:00 pm, I am honored to participate in a live one hour roundtable discussion about pollinators on iCRV internet radio. This is so cool- a radio station that is streamed live over the internet! I will be joined by Gail Reynolds, the Director of the Middlesex County Master Gardener Program for the Universtity of CT.
* download the free icrvradio app (for android and iOS) … by bluetoothing the app in the car they can listen to us while on the go, too! 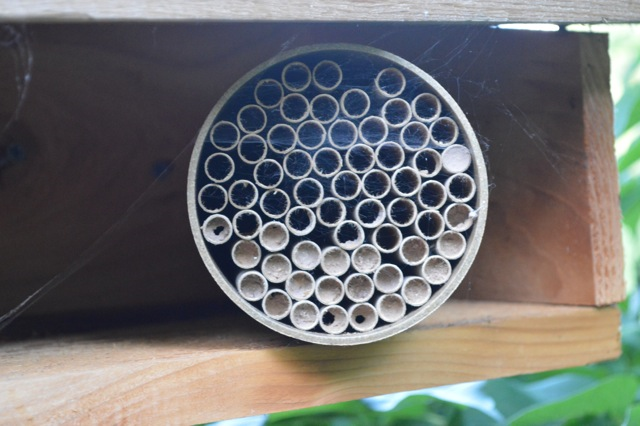 eggs, the caterpillars will feed this fall, and the chrysalises will overwinter and hatch next spring. If you happen to find them, you can bring them into the garage for the winter and watch them hatch around Easter time. 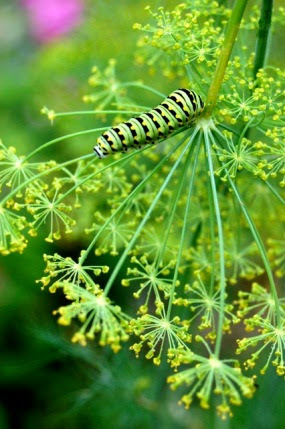 Besides bronze fennel, we have bulbing fennel (Florence fennel, also known as finnochio), cilantro, parsley, and dill. Add them to your flower borders, veggie beds, and containers then watch them carefully as the fall unfolds. Maybe you will see what I saw- nearly TWENTY caterpillars! 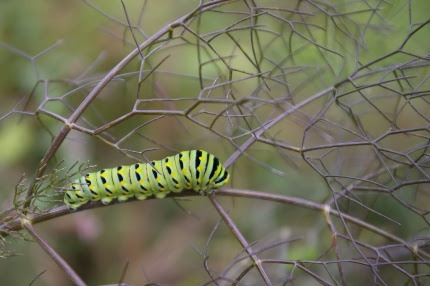 Eastern black swallowtail caterpillar on bronze fennel.